In recent years there has been a global awareness of ‘True Green’ product development & design. I’m glad to see that it has been embraced by today’s youth and young adults who have inherited the increasingly toxic state of our mother earth. Is it ‘Green’? – It’s ironic to see products that are deemed “Green” overstep the Eco- Friendly ideology in the design process. Yes the final product may be ‘Green’ but the manufacturing process is a different story. Products today claim to be designed for sustainability, however some of the key elements behind the development process are anything but. Designing a True Eco Friendly product starts from the bottom up. 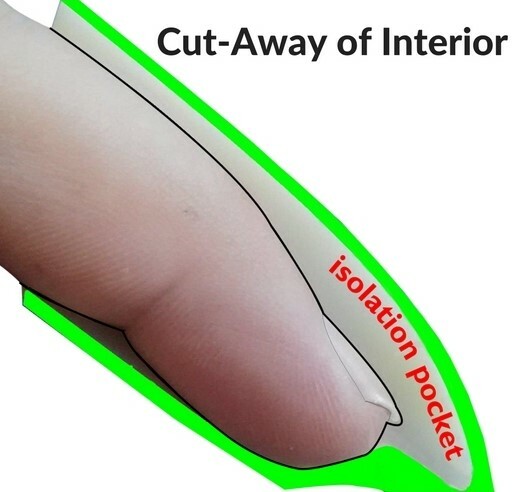 The materials used, production methods and even logistics lay paramount in the considerations of the overall design of any product. Be it Homes, cars, clothing and any common item. We’ve all heard of the electric car that produces ZERO emissions, but in the ads they never mention the enormous carbon footprint generated by the coal and fossil fuels used in the manufacturing process of the batteries. In the production of the batteries for an average electric car, the carbon footprint is equal to a 1955 Chevy Belair running for 40 years. Clearly this defeats the purpose. To avoid this fatal flaw from the get go, we have to support true Eco-Friendly products with a bit of common sense & education. Here is a simple example of a ‘True Green’ consumer product for the ‘lawn & garden’ sector that has impressed me. 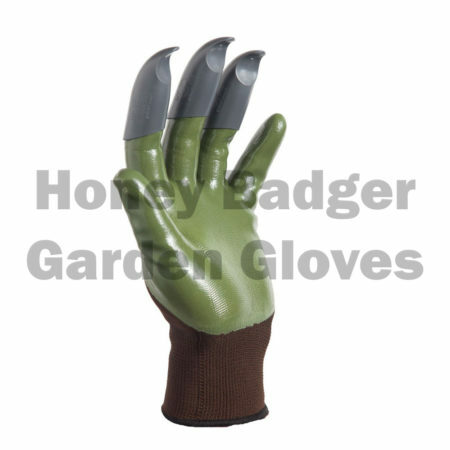 – ‘The Honey Badger Garden Glove’. 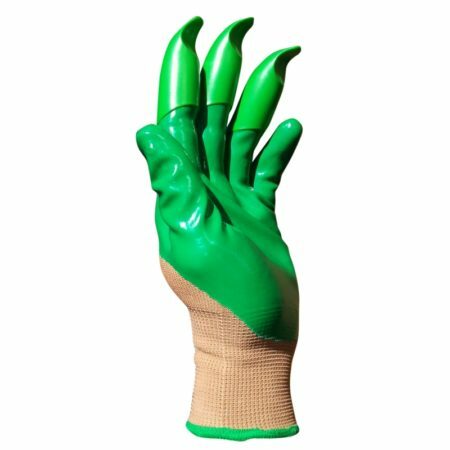 A gardening glove with claws. 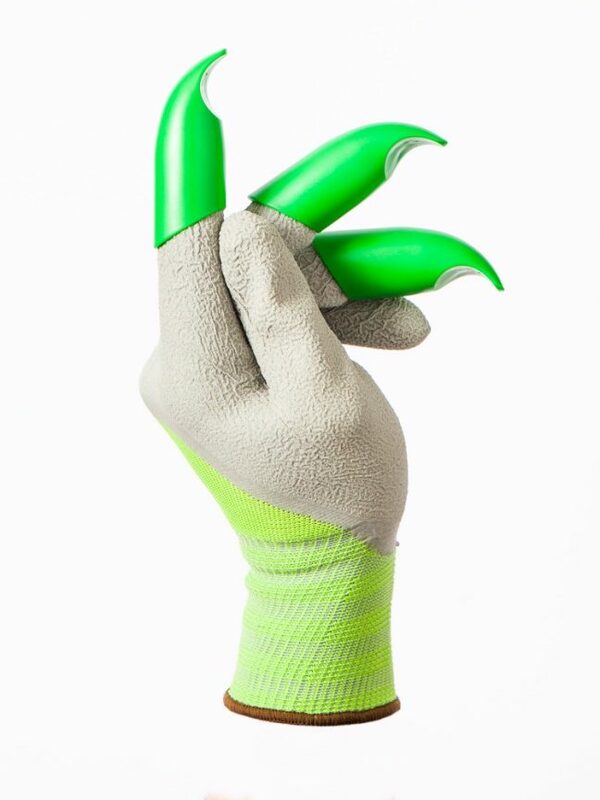 A simple idea yes, but also an effective product that caters to the greenest community of all, and is made with recycled materials, low VOC adhesive, and the feature I like the most,- You can recycle or ‘upcycle’ your own worn out gloves by fitting them with the claws also sold separately. 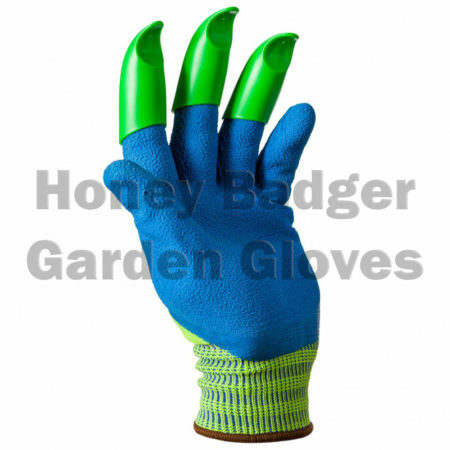 Furthermore they last several times longer than commonly used garden gloves since the fingertips are the first part to wear out. This is just one example of what I hope will be a trend in consumer products to come. How refreshing to see product designers & engineers applying a well thought out design philosophy on a given product from beginning to end. But it doesn’t end there. 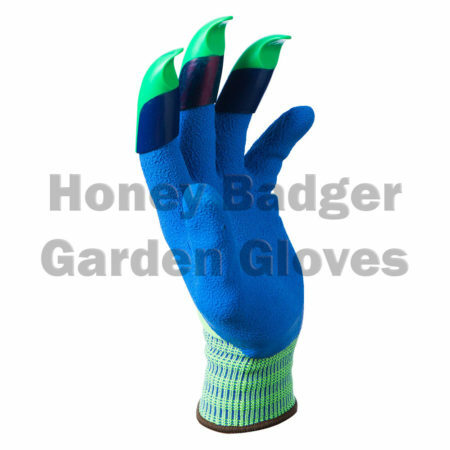 ‘Honey Badger Garden Gloves’ is in talks with the Arthritis Foundation for “Ease of Use” certification. 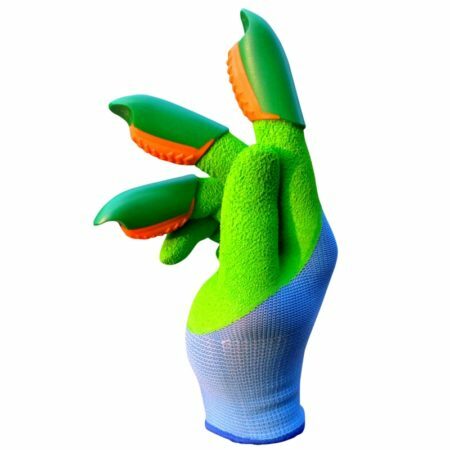 The simple but effective design of the claws incorporates Patent Pending Technology to Leverage hand strength, and reduces stress on the fingers and nails when used for digging. 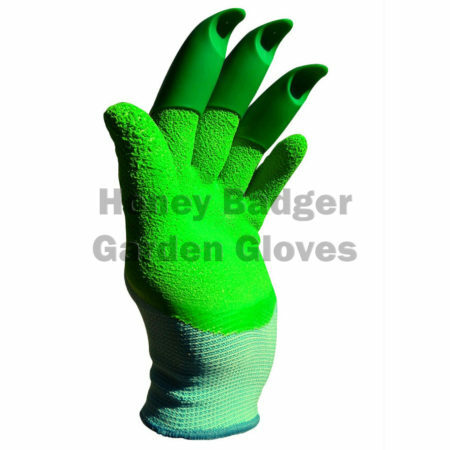 Best used for light gardening, its ergonomic & sleek design is not cumbersome as one would think from the initial prototype. 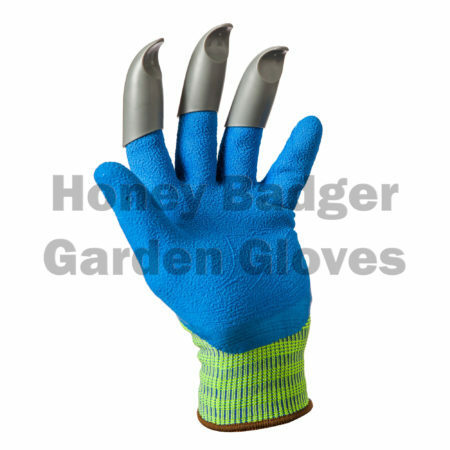 You can easily hold & use other tools without the claws interfering with the grip & range of motion. 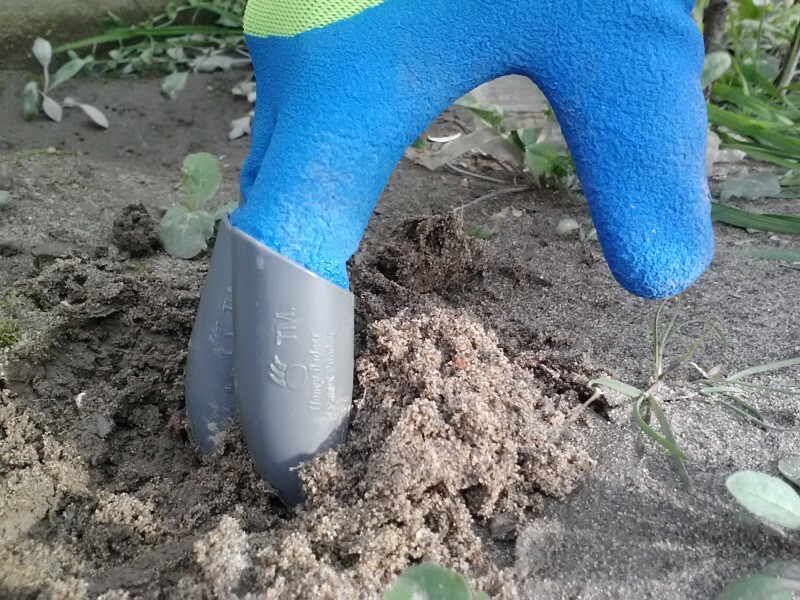 Although I don’t think it will replace traditional gardening tools, it is a welcome addition to tool sheds around the world, particularly if it reduces waste in a consumer item that every gardener uses for safety. 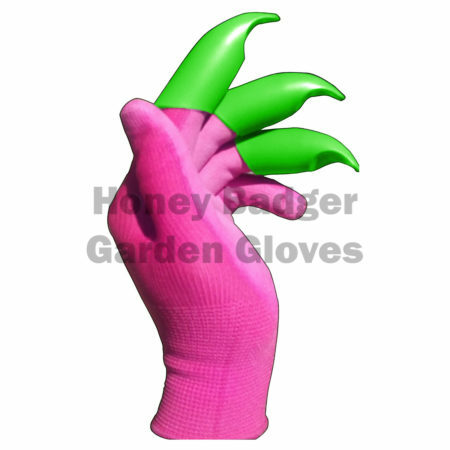 Arguably the best gardening gloves for women. In the future, manufacturing technologies will be improved and influenced by Nano scale precision, application techniques, materials developed, and other mechanical components. This is meaningless without the spark of an innovative idea . Historically conventional wisdom tells us that when producing a product we have to compromise quality for price, weight for rigidity and strength, speed for cost and other trade –offs. But conventional wisdom is changing, and if ‘True Green’ product development is recognized as the prevailing ideology, then consumption – based approaches like ‘designed obsolescence will be a thing of the past.